Having a healthy diet is an important part of keeping your body fit and strong but did you know that there is a connection with grand mal seizures and diet? However, for some people who have illnesses, having a healthy diet alone, without any specifications, may not be enough. Just like in people with a grand mal seizure. There is a type of diet which is recommended for them because it decreases their seizure attacks. This diet is known as the ketogenic diet. 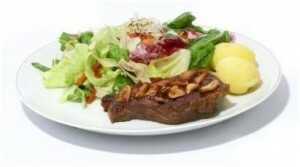 Ketogenic diet for grand mal seizure control is a high-fat and low-carbohydrate diet. It is not simply prescribed by a physician but it is also closely monitored by a dietitian. The ketogenic diet helps in the production of ketones in the body. When the body uses fat as a source of energy, ketones are formed. Usually, carbohydrates are the primary fuel source of the body. The diet is low in carbohydrates, and because of this, there body is forced to use the fats that are stored in the body to form energy. Ketones are not harmful substances in the body. It can be normally found in the urine, breath and blood. It has shown in studies that higher ketone levels leads to improved control of seizures. However, there are also other theories on how this diet works. The amount of protein and carbohydrate in the diet must be strictly regulated. This is why a person who is undergoing this diet needs a dietitian. The meals are prepared carefully, and no other sources of carbohydrate must be taken. The foods that give high amount of fat that are usually given to people who are under the ketogenic diet for grand mal seizure control are heavy whipping cream, mayonnaise, butter and oils. The person is also closely monitored to balance out the cholesterol levels in the blood caused by the increase in the fat intake. Learning and education are the best tools anyone has to fight against difficulties in life. Read many other articles on grand mal seizures on our website.